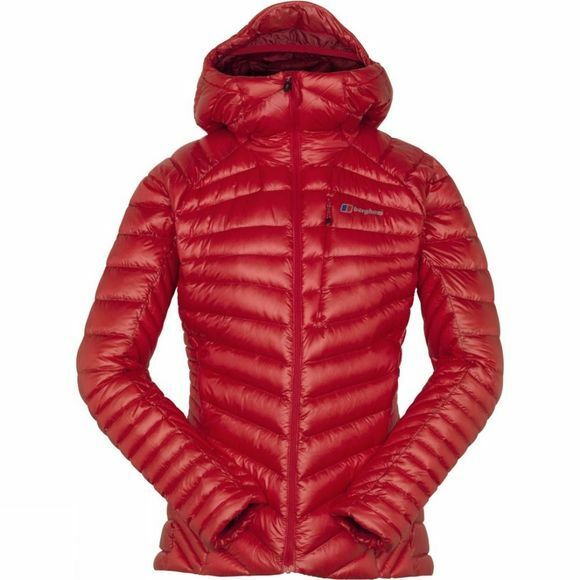 The Berghaus Women's Extrem Micro Jacket is a lightweight jacket that features water-resistant Hydrodown insulation powered by Nikwax. As you're topping out on the Grandes Jorasses and the sun is setting over Mont Blanc, the cool alpine air will make you reach for this bundle of warmth. The Pertex Quantum CS10 outer fabric is extremely lightweight yet tough enough to stand its ground on any harsh route. On the inside, Berghaus' water-repellent Hydrodown powered by Nikwax provides the excellent warmth that will keep on working wherever you are, even when it's wet. Body-mapping design techniques help regulate your temperature and put warmth where it's really needed, while stitch-through baffles reduce bulk. 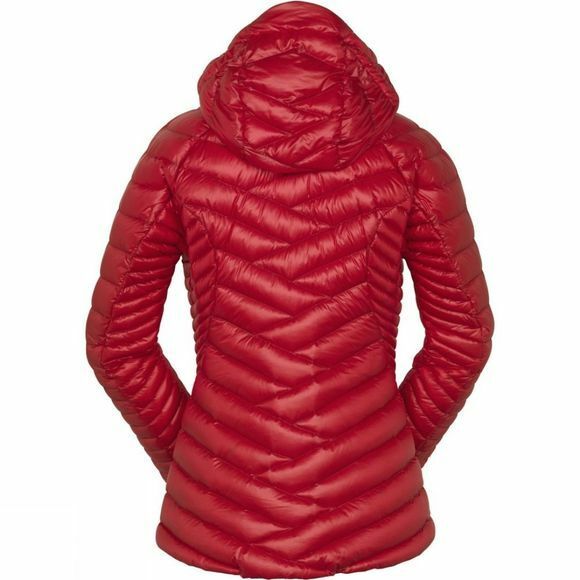 Designed specifically with female alpinists in mind, this jacket boasts a flattering silhouette, streamlined design and a mountain full of useful features such as a helmet-compatible hood with wired peak for added protection.